W 1895. 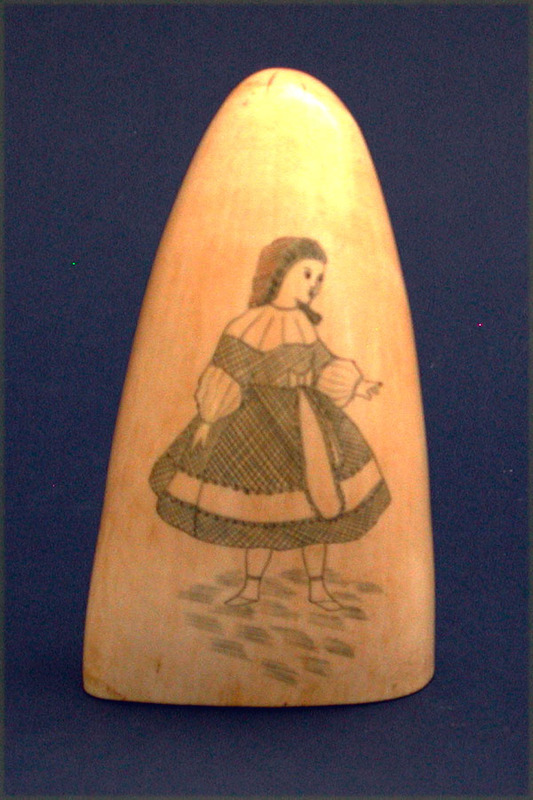 NICELY ENGRAVED SCRIMSHAW TOOTH with a polychrome portrait of a young girl wearing an attractive dress and bonnet. Wide, heavy tooth that measures 5 1/2" h. x 2 3/4" w. Tooth was very well prepared and smoothed by the maker before engraving it. Condition superb. Excellent age color throughout. Circa 1840. A most pleasing scrimshaw tooth.